We’ll show you how to provide small business health insurance to your employees, what it costs, how to maximize your tax savings, and other best practices. At the end of the article, we’ll also explain some of the confusing jargon and answer some of the more common questions you may have. Confused about your health insurance options? Zenefits is an integrated HR, payroll, and benefits platform that offers thousands of insurance plans from over 250 nationwide carriers. You also get a user-friendly dashboard that lets employees self-onboard, sign employment documents, set up payroll, and enroll for benefits, all online. Click here for a free trial. Professional Employer Organization (PEO) A PEO lets you outsource employee management tasks, such as providing employee benefits. Costs ≃ 2% of an employee’s salary. Compare cost in our article on the best PEOs for small business. Reputable; can serve business in several other areas like HR and payroll; guaranteed ?IRS compliance. Online -- less personal contact; requires web sign ups for employees, which may confuse them. SHOP Marketplace The federal government’s marketplace for small businesses to purchase health insurance. Depends on your state and size; it can be affordable in some places and expensive in others. Compliance; may be low cost depending on location Customer service issues; new system, still working out bugs. Unfortunately, there is no one answer as to which option is going to be best for everyone. Not only can the pros and cons vary by state, but your options and costs will vary based on your exact geographic location, the plans you offer, and the amount you choose to contribute to help employees pay for their coverage. It’s wise to get a quote from each of the three types of organizations. Why? Because insurance offerings vary greatly by state and even by city. The same place where the SHOP exchange is cheap might be expensive to use a broker. The number of employees you have that might participate also affects cost. And some locations have few providers available, driving costs up. You can easily compare all of these options with Zenefits. Filter and compare plans based on deductibles, premiums, and more, and choose a plan as easily as shopping for airline tickets. Zenefits also offers all the “must have” health benefits from more than 250 nationwide insurance carriers. Try it free today. Health Maintenance Organization (HMO) An insurance plan that limits where a person can get care. The employee’s medical provider must be in-network for the employee to receive benefits. Employees may need a referral for specialists like an orthopedic doctor. However, once they find a doctor in-network, co-pays are low or even $0. HMO plans may offer the lowest premiums. High Deductible Health Plan (HDHP) A health insurance plan with a large deductible. An HDHP is a medical plan with high out of pocket costs (high deductible). It’s often paired with a tax-free savings option such as an Health Savings Account (HSA). This type of plan offers lower premiums than a traditional POS or PPO. One of the benefits is that it’s easy to use and the employee can often keep their own doctor. Point of Service Plan (POS) A health insurance plan with a choice. This type of plan allows the insured employee to use an in-network provider or get a referral prior to treatment. POS plans have reasonable premiums, provide decent coverage, and are easier to use than an HMO. The employee will have some out of pocket costs, such as a deductible and/or co-pay. Preferred Provider Organization (PPO) A health insurance plan with, usually, a very expansive network. PPOs offer a large list of practitioners and no referrals are required. This type of plan is going to have the highest premiums but also the best coverage. It’s also easy for employees to use. Like a POS, the insured will still have a deductible, co-pay, or both depending on the treatment. Please note that the following three options are not traditional health insurance plans like those listed above. They don’t meet ACA requirements by themselves. Instead, these are value-added health benefit savings accounts that allow employees to use pre-tax dollars to pay for their health expenses. Employers often make these available in conjunction with one of the traditional health plans mentioned above. All but an HSA can also be offered as a stand-alone option if you have under 50 employees and can’t afford or don’t want to offer traditional health insurance. Flexible Spending Account (FSA) Employer-sponsored tax advantaged account. An FSA is a pre-tax savings account that employees can use to pay for medical expenses. 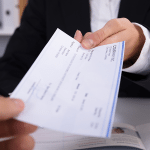 An FSA doesn’t roll over from year to year, so it’s a use it or lose it system, and employees should be reminded to use their dollars regularly to avoid losing them. It’s a good option if you have fewer than 50 FTEs, and want to help employees use pre-tax dollars to pay their health care. An FSA is owned by the employer. Health Savings Account (HSA) A health savings account. An HSA is a another kind of pre-tax savings account, but it’s only available if it’s paired with an HDHP. This plan operates like a 401K for health savings: an employee can contribute, an employer can match it, and the employee can use it to pay health care costs and deductibles. An HSA is owned by the employee, so it stays with them even if they change jobs. Health Reimbursement Account (HRA) Employer-funded and maintained account. An HRA is an account that allows employees to be reimbursed for medical expenses by submitting receipts. However, it’s a murky area regarding medical privacy because it can lead to privacy problems and even cause discrimination -- for example, if you skipped over someone for a promotion because you knew they were ill with cancer. An HRA is a good option if it’s administered by an outside broker or a HIPAA-certified HR Manager. Read our article on Federal Labor Laws to learn more about HIPAA. A PPO and an HMO. Allow employees to choose which is best for their family. These are two good options if you have an employee base that has multiple generations and spans multiple concerns (for example, some have families and others are millennials who rarely see a doctor). It also gives the employee choices on the coverage they want and how much they want to pay. Read our article on HMO vs PPO to learn more. A PPO, an HMO, and an FSA. Adding on an FSA is a nice value-add if you have employees who want to plan for just-in-case. FSA savings are pre-tax dollars they set aside to spend each year, and anything they over $500 they don’t use after year-end, rolls over to you, the employer. The answer is no. However, employers that choose to offer small business health insurance, regardless of company size, must offer health insurance that is affordable. This means that the cost to the employee must be less than 9.5 percent of the full time employees’ salary. Employers that don’t provide affordable insurance may be subject to penalties. This is part of the employer mandate under the ACA. Employees need health insurance, period. The ACA makes it illegal for individuals to go uninsured, so it’s likely that most of your employees are looking for an employer-provided health plan whether through your business or the company their spouse works for. 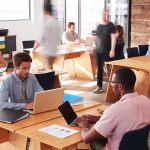 Health benefits are one of the most sought-after employee benefits according to our article on 2018 workplace trends. Providing benefits such as health insurance is a key part of building a positive employer brand. As your business grows, your staff’s personal needs may change — they age, get married, have children, or perhaps encounter health issues. Offering health insurance makes it more likely that these employees will stay with you for the long-term saving you in recruitment costs, employee turnover, and the time it takes to onboard replacement employees. The type of health insurance benefits you provide will affect your cost, unless you are doing a set amount per month per employee. Let’s look at an example of some typical cost-ranges for health insurance premiums by type based on 2017 data. Health care costs have been going about about 3-4% a year according to factcheck.org. If you would like to cover a percentage of the employee’s premiums, which is what allows you to be eligible for the health care tax credit, we would advise you to crunch the numbers considering your location and the number of employees who will be participating. You may be thinking that of course you’ll provide health insurance or contribute towards the cost for your full-time employees, but will you also supplement the costs for their families or dependents, such as spouses and children? Will you offer benefits to part-time employees? Or only to those full-time employees who work 35-40 hours or more a week? And lastly, here’s a calculator to help employees who don’t have health insurance figure out how much health care coverage would cost if they had to purchase it on their own through the marketplace. This is helpful if you plan to offer a healthcare FSA, so they know how much to contribute to it. Unfortunately, working directly with an insurance company is not an affordable option for small business health insurance due to so few employees. However, if you work with a broker, PEO, or SHOP agent you’ll likely be able to get insurance through one of the big carriers like Blue Cross / Blue Shield, Aetna, or United Healthcare at a group rate. States have the ability to expand upon the ACA and place additional requirements on health insurance. The only changes we’ve seen are some states that mandate specific coverages, such as for contraceptives to be included as part of their health care plans. Affordable Care Act (ACA) or “Obamacare” Passed in March 2010, it is a sweeping healthcare reform bill. Affordable Coverage Insurance provided needs to cost less than 9.5% of the employee’s household income. Your broker, PEO, and SHOP can help you make sure your choices are compliant. COBRA Federal law that lets employees keep their health insurance benefits after termination or layoff for a certain amount of time, but employees have to pay 100% of the premium costs. If you provide insurance, you must provide COBRA paperwork upon termination. Employer Shared Responsibility Payment (ESRP) This is essentially the term used to describe employers with 50+ FTEs and their compliance with ACA. Flexible Benefits Plan (aka Section 125 Cafeteria Plan) This kind of plan allows employees to pick from a “menu” of benefits, like health insurance, life insurance, etc. Learn more by reading our article on Section 125 Cafeteria plans. Grandfathered Health Plan A healthcare plan created before March 23rd, 2010. These plans still must overcome certain hurdles to be compliant. Open Enrollment (OE) Period The general time frame when an employee can apply for insurance coverage. Your broker or PEO can help with annual OE dates. Qualified Health Plan A Qualified Health Plan means it is ACA compliant. It is also referred to as a plan that provides minimum essential coverage. Summary of Benefits & Coverage You must provide easy to read summaries of the health insurance plans and options you offer to your employees. Your broker or PEO will most likely provide these documents for you or help you create them. Providing small business health insurance to your employees is required by the ACA if you have 50 full-time employees or more. Employee benefits are a great perk for your employees. We hope this guide helps you navigate how best to provide health insurance as an employer-sponsored pre-tax benefit. If you’re looking for more information, check out our guide to the SHOP Exchange for small businesses or read our companion article on the various types of health insurance plans. In the comments below, let us know whether you decided to provide insurance or not, and if so, why or why not? What plans did you pick and how is it working out for you and your employees? Once you’ve digested all the information in this article, take a deep breath. Then head over to Zenefits and begin browsing health insurance plans. You can shop from thousands of plans and filter them by type, deductible, premium, and more. Zenefits also makes it easy for your employees to self-enroll and manage all of their plans online. Click here try it for free. Most of my staff dont have any of the critical illnesses so they are eligibal for the normal medical insurance policy , do you think it is worth insuring them ? Much depends on the size of your company. But if you have fewer than 50 employees, consider offering your staff an Flex Spending Account in lieu of full-blown medical insurance (that it appears they can obtain on their own). Here are a few helpful article resources. Hello, I am a small business (less than 50 employees) offering health insurance to my staff. I will be paying 50% of the premium for the employee coverage. I have to have 75% participation to qualify for a company plan. This means 75% of the people either have to accept company coverage, have coverage with spouse, or have their own plan. I have 2 staff members that do not have insurance at all. If one of them does not either take our plan or get their own insurance, we will not qualify for the company plan. Can I require the other staff members to take our insurance or obtain other insurance? It is not fair for them to prevent everyone else from being able to accept company plan. How great of you to offer health insurance when you don’t have to! The sad truth is, that’s it’s an offer; you can’t force them to do it. However, peer pressure is a powerful thing. Suppose you let your team know that you’re right on the edge of qualifying for them all to get health insurance (without naming names), but that the provider requires a 75% participation rate (among those who qualify, i.e. full time employees). If you don’t get that level of participation, your business won’t qualify (at least with this vendor). That’s one option. Another option is to find a provider that doesn’t have the 75% participation requirement. Or you could ask the provider to reduce the requirements based on your company size. Or instead of paying 50%, you could offer a flat amount to employees to use as they like for benefits — that might be an incentive to move the non-buyers to select something. Another option is to use a payroll provider that offers benefits as part of their payroll services. Sorry you’re in a tough spot! I’ve provided some articles that may help. Can you offer two different salaries upon hiring, with insurance or without? We are an employer with less than 50 employees. So for example, the employee can choose between a rate of 20$ per hour without the employer sponsored health insurance vs. $18 per hour if the employee elects to take coverage? Also upon their annual review, if they initially chose the higher rate without insurance, they then later decide they want to opt into the employer health insurance plan, can you go back to the lower rate with insurance? It is possible to set up this type of arrangement, but with certain precautions. 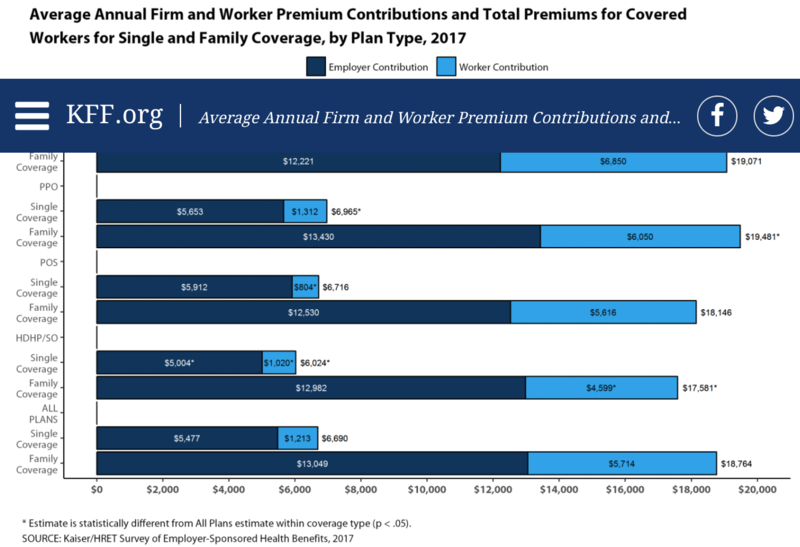 Principally, the ACA mandates that employer-provided insurance must be “affordable.” In the eyes of the law, this means that employees should not spend more than 9.66% of their household income on the plan. Under this type of arrangement, the $2/hour ‘deducted’ from employees who elect to receive insurance would be considered payment for health insurance. For a full time employee, this comes out to roughly $4160 per year… or 10% of their salary, which would be considered too high. I recommend checking out this article from lexology, and speaking with one of the professionals listed in our article for more specific advice. What is the average percent the employer pays for employee’s dependents on a policy that is covered by the employer? Hi Tony, Thank you for reading and commenting. Depending on the size of your business, to my knowledge, most small businesses do not pay any coverage for dependents. The most I have seen when I was an in-house HR Manager was 50% of the premium for dependent coverage, but that was a one-off. I have not seen it anywhere else. Good luck!